Maintaining your Facebook artist page and building it to reach more fans and industry supporters should not be time consuming. And, to help, there are some tricks and methods you can use to make sure you are working it as effectively as possible. These 12 tips are guaranteed to boost the number of people seeing your page and, once there, get them listening to and looking at more. Having a decent number of people ‘liking’ your Facebook artist page is more than just a vanity project. It shows potential promoters that you are able to reach the people who may want to come to your gig. It shows potential record labels that you can broadcast news to fans who will buy your music. And it shows journalists that there is some interest in what you are doing. It also means that any future news you want to spread will be seen – and possibly shared – by more people. 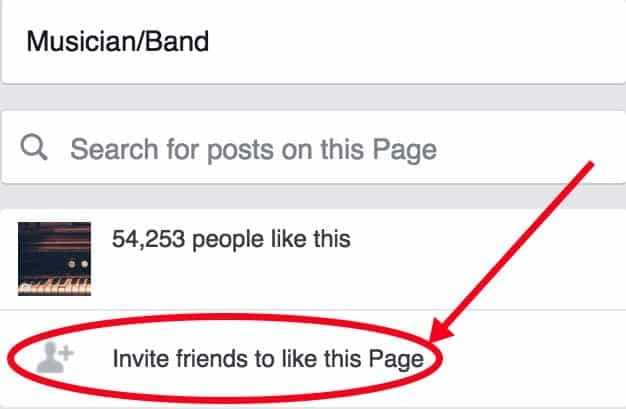 You can give your ‘like’ count a good boost by making sure that everyone involved with the project – from bandmates to close friends or family – clicks the ‘invite friends’ button on your page. The ‘Invite Friends’ button is on the left column and it opens a popup with a list of all your friends. Hit ‘invite’ for any that are not already liking the page and ask the others to do the same. Your Facebook cover photo are profile pictures are two things that every visitor to your page is guaranteed to see. Because of that, they are two of the most frequently-clicked things on your page. The main goal of having a Facebook Artist Page is to widen your reach and get more people checking out what you are doing. Usually though, when you post something, it’s only your followers who see it. You can massively increase the chances of reaching new people by @tagging the person, band or event that your are writing about. This sends a notification to that Page and, assuming it is a relevant and newsworthy piece of information, they are likely to share it, or at least ‘like’ it. Both of these actions get your post in front of their followers too which, in the case of a festival, could be many thousands more than you have on your page. It seems as though Facebook is giving extra importance on the news feed to videos uploaded directly onto the site. It’s worth making the most of this and ensuring that your videos are all uploaded directly onto you Facebook Artist Page, as well as on Youtube. Of course, this potentially splits the views between 2 platforms but if it means you are reaching more people in total, I’d say it’s totally worthwhile. Facebook lets you give people a bunch of useful info here, so make sure it is complete and up-to-date. The more information you can put here, the more options people have to connect with you and your project. Email address and website is a must, but make sure your up-to-date bio, press quotes and social media handles are all there too. It’s a nice touch to add the band members, genre, hometown and your influences as well. Social media allows you to connect directly and immediately with real jazz fans. The problem is, people are pretty savvy online and don’t want to be fobbed off with lazy content. Make sure that you treat Facebook as it’s own medium and unhook those services that automatically pull your tweets or Instagrams onto your news feed. By all means post the same content – if it is relevant – but re-type it in a way works best for Facebook, expanding the text and adding an image or link to make it more appealing. 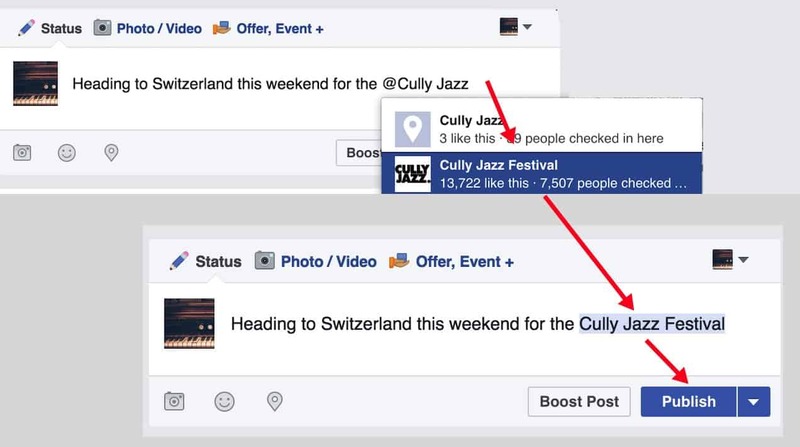 Widening your reach by @Tagging festivals, venues and other bands works both ways: hopefully people will want to tag you too. Unless you have set up a custom URL for your page, they won’t be able to do this and you’ll miss out on notifications when anyone else mentions you or your group on Facebook. 2. SUCCESS: You can now be tagged by other Pages. As important as Facebook is in building your fanbase, you don’t really have any control over the data. You can reach your fans this way for now, but that could change at any time. For that reason, it’s SO important that you have a database of contact details – namely emails addresses – for your followers and fans away from social media. And that means one thing: mailing lists. Aside from good old fashioned pen and paper at gigs, your website is the most obvious place for someone to sign up to your mailing list. You can add it onto your Facebook page too though. The process will vary depending on which provider you are using for this, but I know a lot of musicians use Mailchimp: you can find their simple how-to guide for that here. (AWeber is another popular platform. They have their set up guide here). You’ve surely heard the old phrase “a picture is worth a thousand words” – it’s worth bearing in mind on Facebook too. According to online marketing gurus Hubspot, content with relevant images gets 94% more views than content without relevant images. 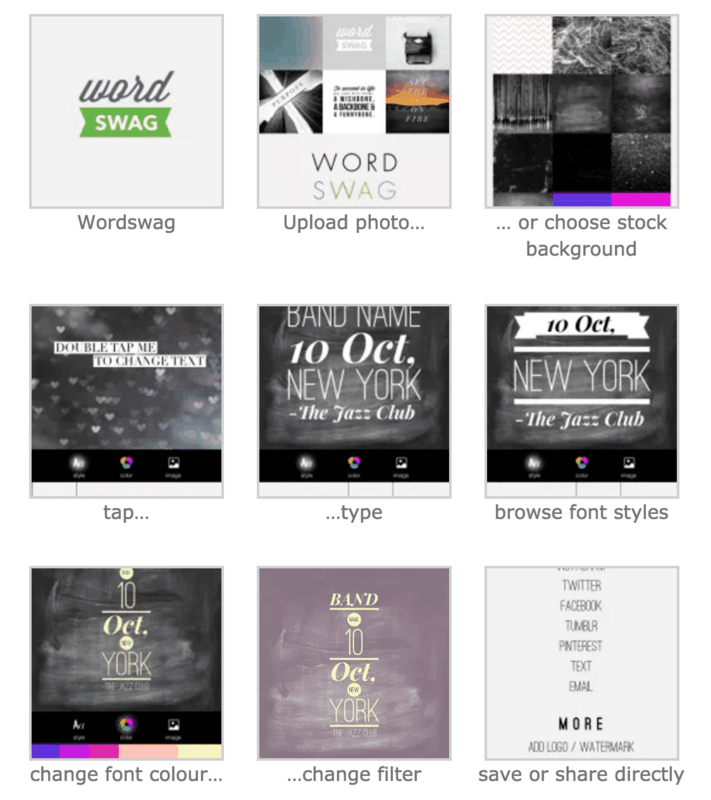 So, instead of simply typing out a status about your next gig, try using Wordswag (iphone) or Canva (desktop) to add some slick text on top of a cool photo of you or something else relevant. Both services are completely free if you are uploading your own photos. 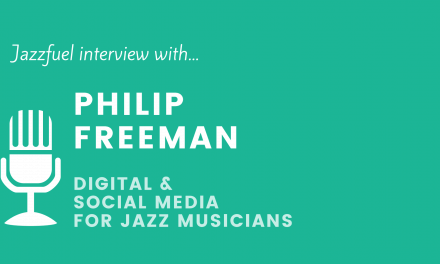 Social media is a community and, as a musician, it’ not just fans you want to connect with. Being hooked up with like-minded musicians and bands that you like is important too. Actively seeking out these people and liking and commenting on their pages not only builds this community, but it also gives them a nudge to do the same back to you. The result: more crossover of fans and a chance to reach like-minded music lovers who might otherwise not have discovered your music. All you need to do when you are browsing Facebook and see something you like is switch to ‘like as page’ instead (or as well) as doing it from your personal account. See that ‘call-to-action’ button next to the ‘like’ sign? Click to edit this and change it to ‘watch video’ or ‘learn more’ – depending on what media you chose – and insert a weblink to either a Youtube video or your website. 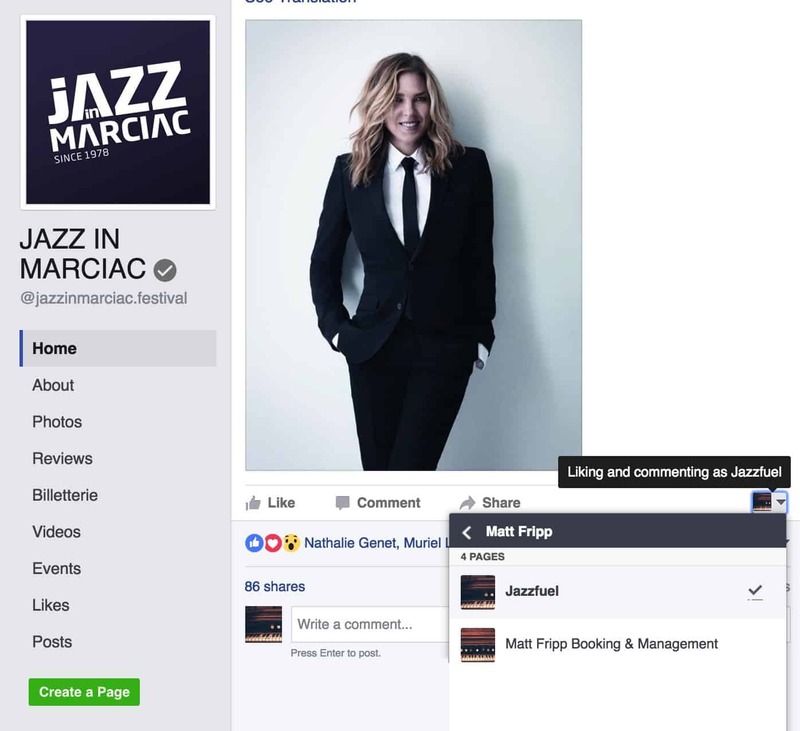 Again – it’s all about making sure the part of your Facebook artist page that every visitor sees has all your best links and content. The most viewed part of your Facebook or Twitter page, aside from your profile picture and cover image, is the space usually filled by the most recent thing you posted. Pinned posts allow you to control this area and make sure that your most important or current message is getting across. Considering how many people will browse your profile for just a few seconds, you really don’t want to be wasting this space with an in-joke or throwaway comment. Pinning (as you probably know) is where you pick one tweet or Facebook post to be stuck to the top of your page until you choose to unpin it. Pinned posts are super easy to set up; just post something as you normally would and then click the dropdown menu as per the screenshot below. Pinned Posts: What to pin? In terms of subject matter, you should be pinning something that will be relevant for a while. In terms of content, you should be posting text plus an embedded photo/video and a link to really make the most of this space. Sell tickets: If you have one big show on the horizon that you are putting all your efforts into selling, pin a tweet or post about that. Include a [shortened] link to buy the tickets and tag in the venue/festival/promoter too. Make new fans: If you have a great piece of media – be it a new video or a new track – embed it into a post or tweet and pin that, along with a little description and a call to check it out. 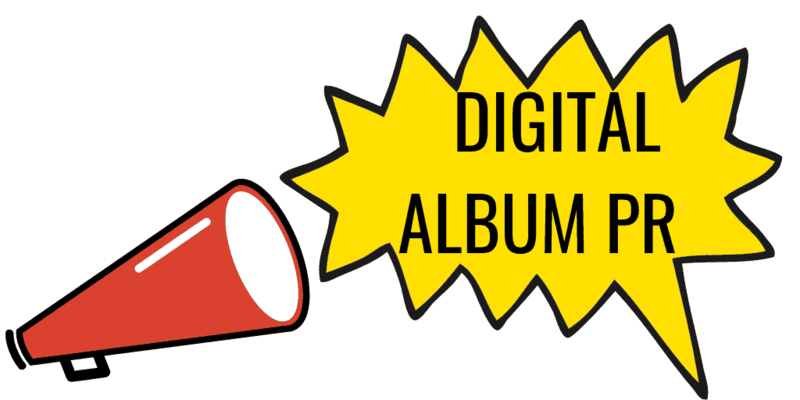 Sell records: If you have an album out (or have done in the last 6 months), you should think about pinning a note about this, along with a link to download/stream/buy it. 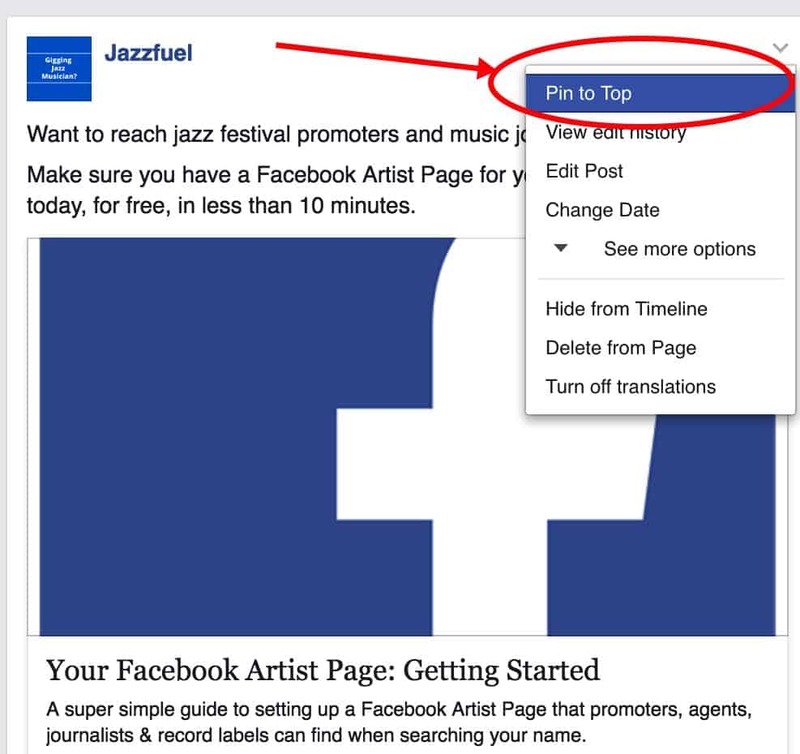 12 tips – many taking 5 minutes or less – for boosting your Facebook Artist Page. If you can do 3 of them right now, I guarantee you will notice at least a small difference to your Page’s effectiveness. 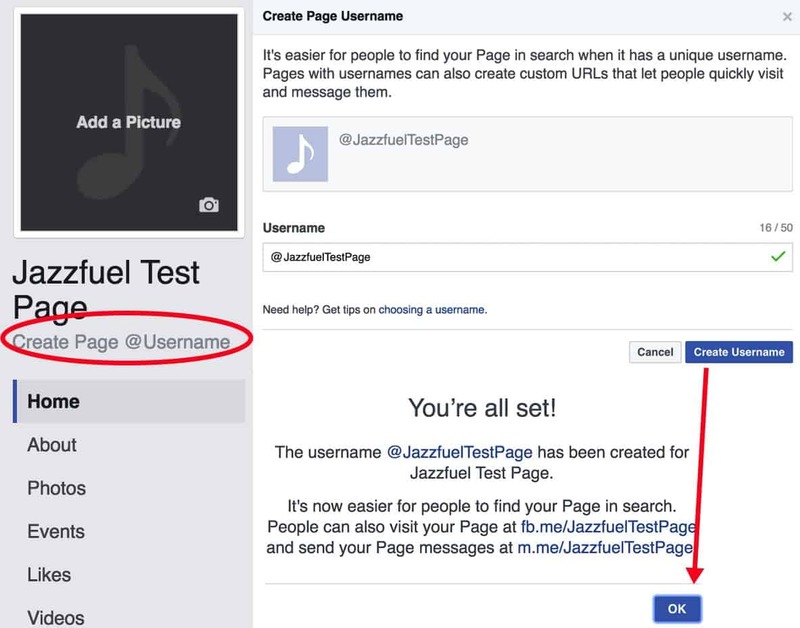 Once you’ve updated some bits, send me a message on Facebook – via the Jazzfuel Page – and I’ll share the results. Is Your Facebook Page Losing You Gigs & Fans? Great social media not only helps you introduce people to your music and win new fans. 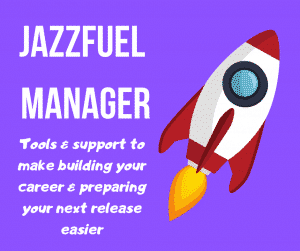 Done properly, it also gives promoters, managers & agents the confidence that you are already motivated and working seriously on your career – not just your music. And, considering the fact that it is something you can do in a few minutes each day, can you afford NOT to be taking care of this? The tips in this article should help you get started. 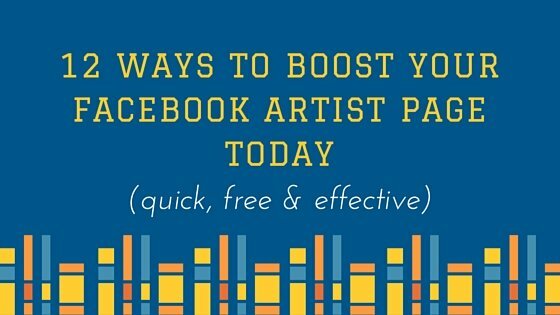 If you are ready to get into the details of this, I have written a 25-page guide – along with 19 video demonstrations – to help you get you Facebook Artist Page GIG READY. 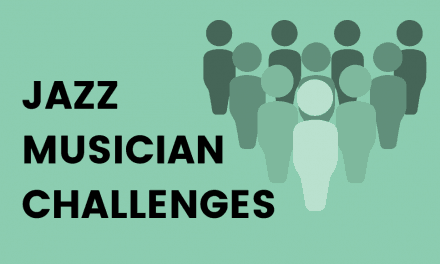 NextBooking Your Own Jazz Gigs? I’ve been thinking. 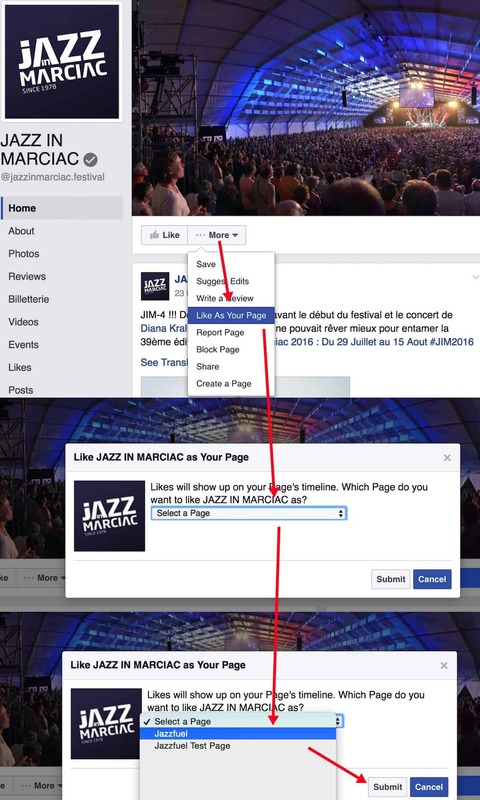 What’s your view on creating events on Facebook? I mean is it good enough to make a songkick tab on my artist page (then I can’t invite people to the gigs)? And if I should be taking care of creating Facebook events, sometimes the case is that the gig is confirmed and listed on my website, but the venue owners wait till the last moment with creating the event that I could add to my page. It makes my events page incomplete. I thought of creating an event every 2 weeks that includes all the gigs I have in these 2 weeks, but I don’t know… What’s your thoughts? Unless the gig is in a city where you have a lot of Facebook followers, I personally think it is better to write a post about each individual gig, tagging the venue and linking to the ticket page, instead of making an event. It looks a lot more natural and doesn’t depend on lots of people saying that they will attend to look respectable. It is also more likely to be shared by the venue. Of course, for a big launch gig in your home city, it might make more sense to have a group so that you can send updates and reminders to all the people that have said they’d come. Thanks for such quick answer! One more thing, how much time in advance would you post about the gig like you’re mentioning? It’s just that sometimes I have a lot of gigs sometimes coming day after day, playing with different people (I’m a free improviser) and most of them in my hometown, seems like posting abuot them all would look messy…? and another thing. I’m playing gigs in many different bands and constellations, but is it possible to list all the different bands on one artist page on soundkick? From what I know, unless you have a developer who can use the Songkick API to build something, you would need to list every project separately… If I manage to find a solution I will let you know! ha! i think i found a way – look at Bill’s page: https://www.songkick.com/artists/542693-bill-frisell, he lists the musicians he plays with as other ‘headliners’, and that’s what he gets. neat! I actually have a better solution for this now. If you are still interested in solving it, drop me an email and I’ll explain…. Hi Matt, thank you so much for sharing this! I’ve applied several tips immediately after receiving your Email. It’s fascinating how easy these steps are, and I did not know that they exist.